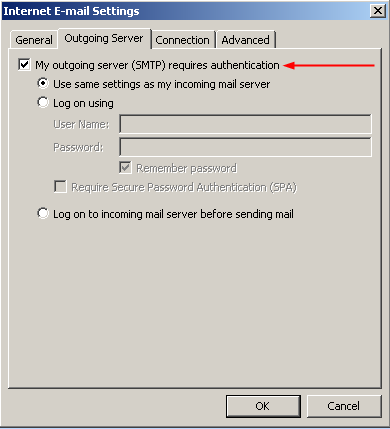 If you are experiencing a problem in which you are able to receive but cannot send out emails, it is very likely that your email application does not have the SMTP Outgoing Authentication option enabled. 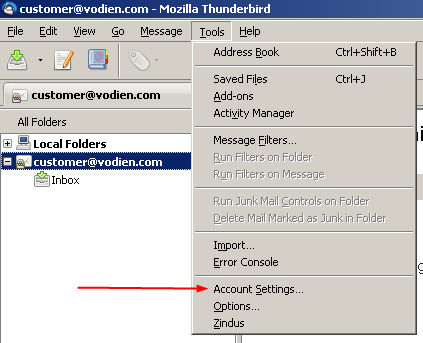 Detailed in this article are the steps that you can take to verify that you have this option enabled in your email client. Step 1: Select Tools from the Command Bar. 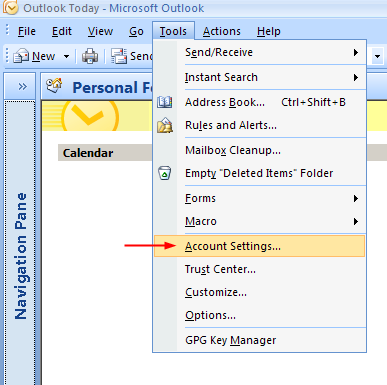 Step 2: Select Account Settings. 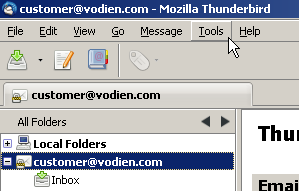 Step 3: Select on the affected Email Account and click on the Change button. Step 4: Click on the More Settings button. 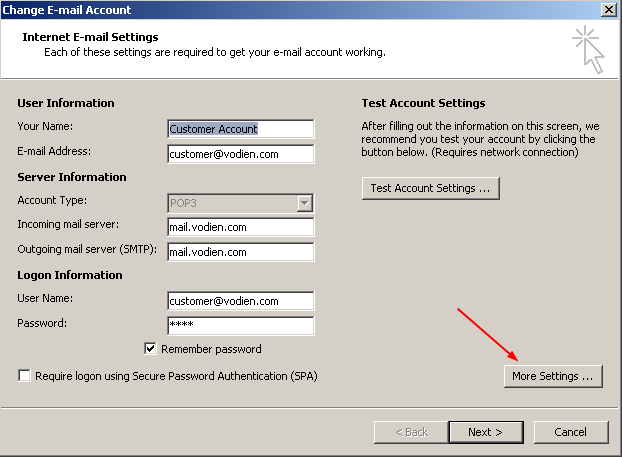 Step 5: Verify that the My outgoing server (SMTP) requires authentication option is enabled as shown here. 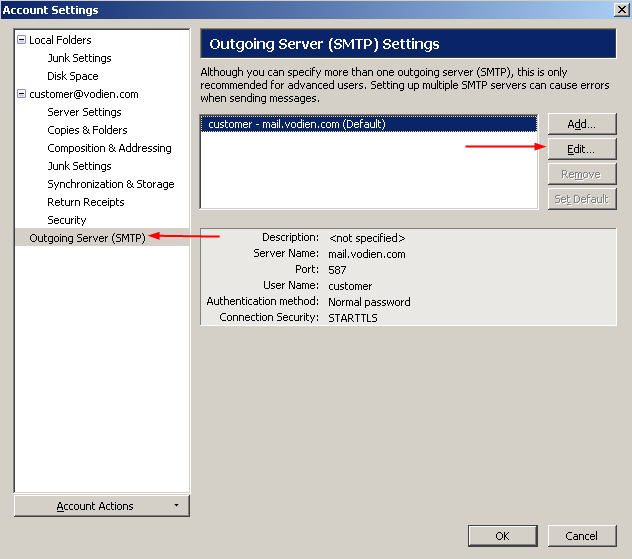 Step 3: Select Outgoing Server (SMTP) and the Account Profile that you need to edit. 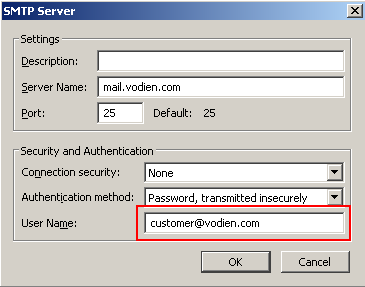 Step 4: Ensure that your email address is correctly written in the User Name field.